Dinner parties with friends are always a fun event. But instead of planning a menu featuring the same type of food everyone has enjoyed before, why not try a Japanese food party? 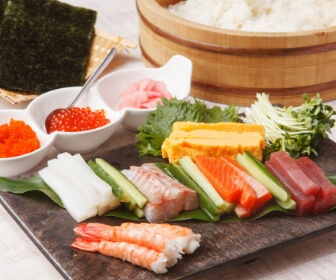 There are many different types of amazing Japanese cuisine you can choose from, and everyone at the dinner party will have fun trying new foods and getting involved in the prep and cooking process. 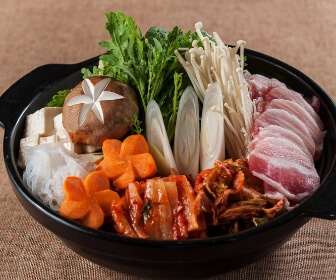 Easy to make and easy to share, this large hotpot contains a great amount of meat, seafood, or vegetables simmered in a delicious broth. Many Japanese families have their own traditional recipes featuring their favorite ingredients, so you can essentially add whatever you’d like. You can look for nabe broth in Asian supermarkets or follow this traditional recipe for Chanko Nabe. If you’ve ever been to a Japanese restaurant, you may have had gyoza before — these small pan-fried dumplings are typically served as an appetizer in sushi restaurants in America. In Asian supermarkets and even some American supermarkets, you can find the dumpling wrappers for sale so that you can easily make your own gyoza! Or other assorted vegetables and ingredients, both American and Asian. Make sure the ingredients you’ve selected are small enough to be tucked neatly within the gyoza wrappers, and you are ready to begin your gyoza Japanese food party! 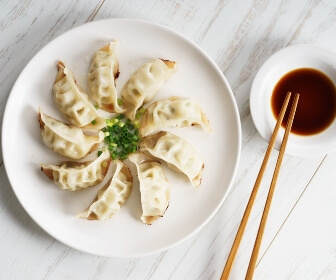 Let everyone try their hand at making their own gyoza creations, and then you can cook them and serve them up with a variety of dumplings and dipping sauces! This delicious comfort food is easy to make and can be prepared with a variety of your favorite ingredients. 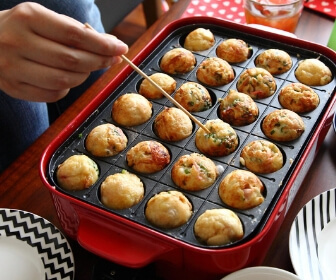 Therefore, it makes for a great Japanese food party event, because everyone can select their favorite ingredients to make their own okonomiyaki and share with others. 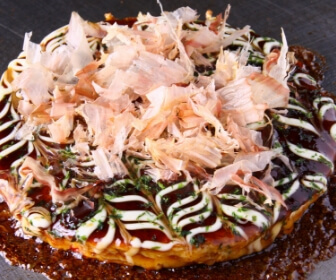 Top off the okonomiyaki with a traditional okonomiyaki sauce, or your favorite seasonings and condiments. 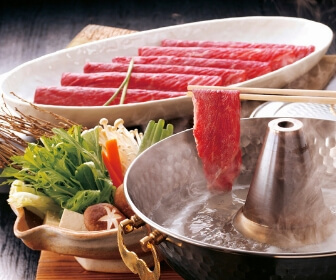 This type of Japanese food party offers everyone a chance to partake in the fun by selecting thinly sliced pieces of meat and vegetables, cooking them quickly in boiling water, and then enjoying them with a variety of dipping sauces. Consider it more of an Asian variation on a fondue party. And with each piece of food cooked just before eating it, the flavor and freshness are exquisite! Follow this handy guide for easily selecting and making thinly sliced meat. This traditional version of this popular Japanese food may not be for everyone, as it consists of pieces of octopus fried in a round ball of dough. If octopus isn’t to your liking, you can try a wide range of other ingredients, just as with gyoza. Everything from shrimp to vegetables and even cheese can be great ingredients to make tasty balls of delight. Top them off with sriracha, spicy mayo, Japanese sauce, or other seasonings. If you want to have a sushi party with your friends and family, there are a few ways you can do it. You can always order sushi from a local restaurant, but that’s not really much fun, is it? And even if you are adept at making maki rolls, not everyone at the sushi party will likely have the same skills. But you can always host a temaki sushi party, since temaki sushi is very easy to make for everyone involved. Temaki sushi contains many of the same components as a maki sushi roll, but the ingredients and some sushi rice are simply rolled up in a sheet of nori, so there is little skill needed. Purchase some sushi-grade fish at an Asian supermarket, along with any other ingredients you think your guests would enjoy choosing from. Lastly, be sure to have a selection of condiments for adding some more flavor and umami to your temaki sushi! 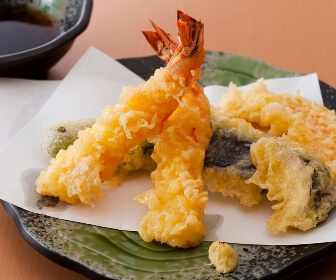 Tempura is another fun Japanese food party idea that your guests can enjoy. Making your own tempura isn’t overly difficult — you just need to have the right tools and a good assortment of ingredients. Prep the ingredients before the party, and you’ll be ready to start frying up some comforting umami goodness once the guests arrive!